It's Mardi Gras season here in Louisiana, and I couldn't be more excited. Sure, the parades and balls are fun. But, let's be honest; I am really only here for the King Cake. Plain, cream cheese, bavarian, pecan praline, I want it all. So when one of my favorite local companies, SFT, issued a King Cake challenge I was all in. If you walk into any local grocery store or bakery this time of year, you'll be greeted with boxes upon boxes of delicious king cakes. I'm a big fan of Rouses' plain king cake. The dough is perfectly flaky and the icing is not overpowering. It's where I go grocery shopping anyway, so I might as well grab one when I pass by, right? Convenience is nice of course. But, if you have the time, I promise it's worth it to make your own at home. I have done the grueling, difficult work of trying out a few different recipes. 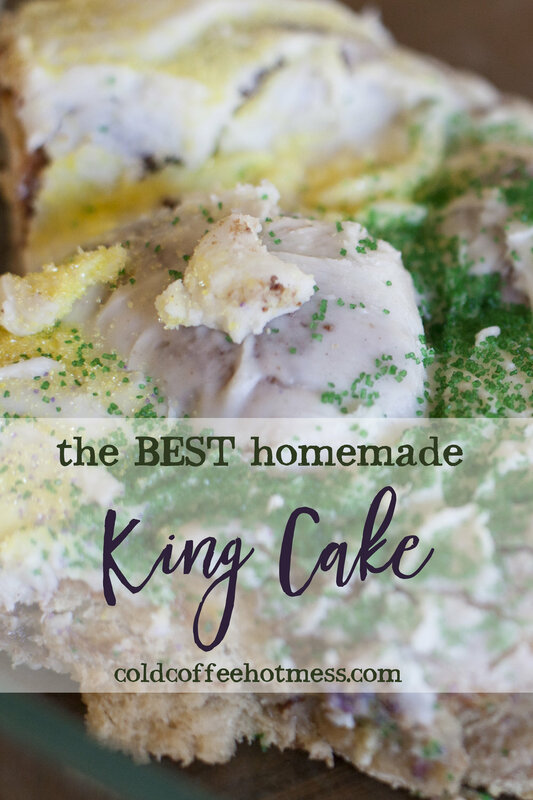 I've consulted friends (the real life kind and the google kind), and I am proud to bring you the best (seriously) homemade king cake recipe. I can't take full credit here, because my amazing husband has become the actual master of making this cake. So big props to him for helping me out with this post! 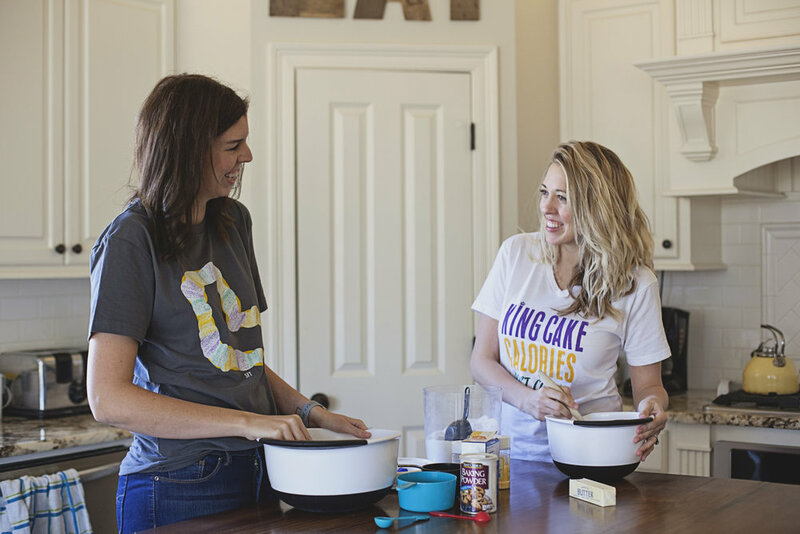 Also big thanks to the beautiful Courtney for helping me bake and model these adorable tees. In a measuring cup, combine yeast with 1/2 cup of warm water. Set aside. In a large mixing bowl, combine all dry ingredients. In a separate bowl combine egg yolks, 3/4 cup butter and remaining water. Slowly add the wet ingredients and the now blossomed yeast into a mixing bowl with the dry ingredients, stirring as you add. As it thickens, use hands to mix, making sure to fully incorporate all ingredients. If the dough is sticky, add flour a little at a time (up to 1/2 cup) and continue to mix with hands until fully combined and separated from the bowl, forming a ball. Brush the ball of dough with the remaining melted butter until coated. Cover the bowl tightly with plastic wrap, then allow the dough to rise in a warm place for one hour or until it has doubled in size. After dough has risen, roll out onto a well-floured surface into a rectangle (roughly 18"x12"). In a small bowl, combine the cinnamon and sugar. Brush the dough with melted butter then sprinkle cinnamon/sugar mixture on top. Cut the cake vertically into three sections and pinch the end of each strip to join one side together, then form into a basic 3-strand braid. Shape the braid into a circle to form the cake. Pinch together to hold the shape. Brush the entire cake with the egg wash and let it rise in a warm place until it doubles in size. Preheat the oven to 350 and prep the icing while you wait. Once the cake has risen, bake for 20-25 minutes or until golden brown. Add all ingredients to a medium sized mixing bowl. Use an electric mixer and mix together until it reaches a fluffy consistency. Allow cake to cool for a few minutes, then spread the icing on top. Sprinkle the colored sugars on top. Done! And please make sure you enjoy a slice while it's still warm. 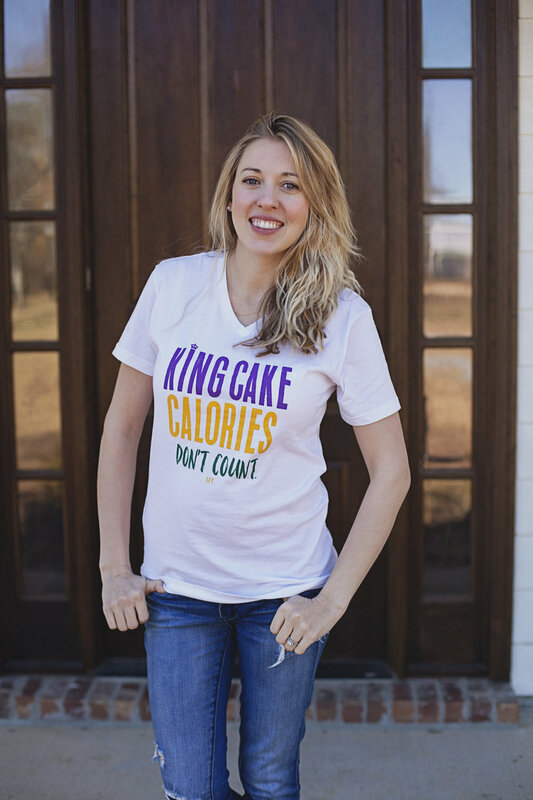 Make sure you head over to SFT if you want to get your own King Cake shirt to show the best dessert in the world the love it deserves! Because King Cake calories don't count, and everyone needs to know. Do you have a favorite King Cake? 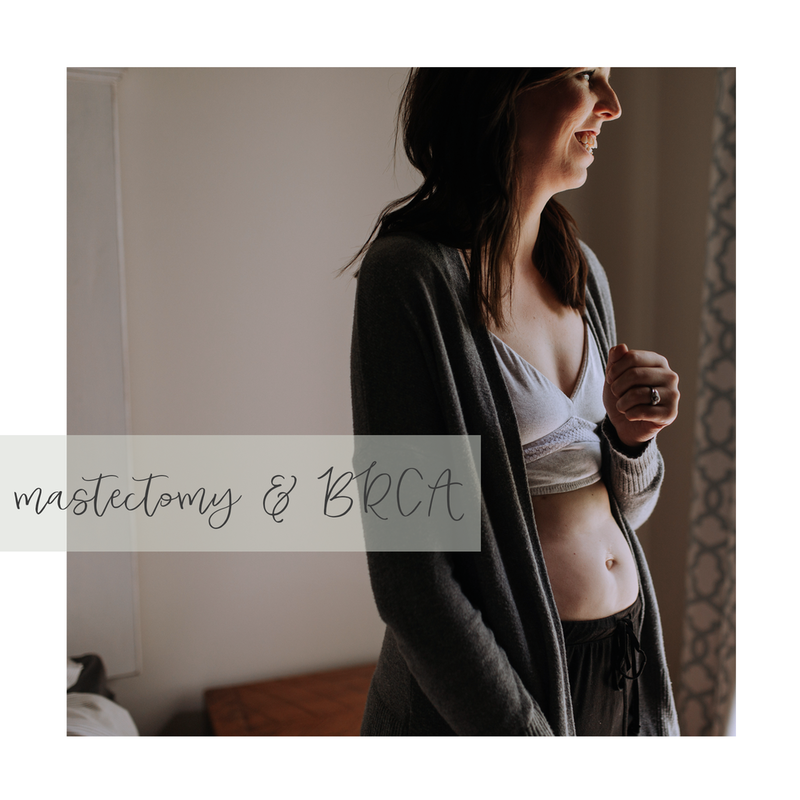 Let me know in the comments (mainly so I can go try it!). 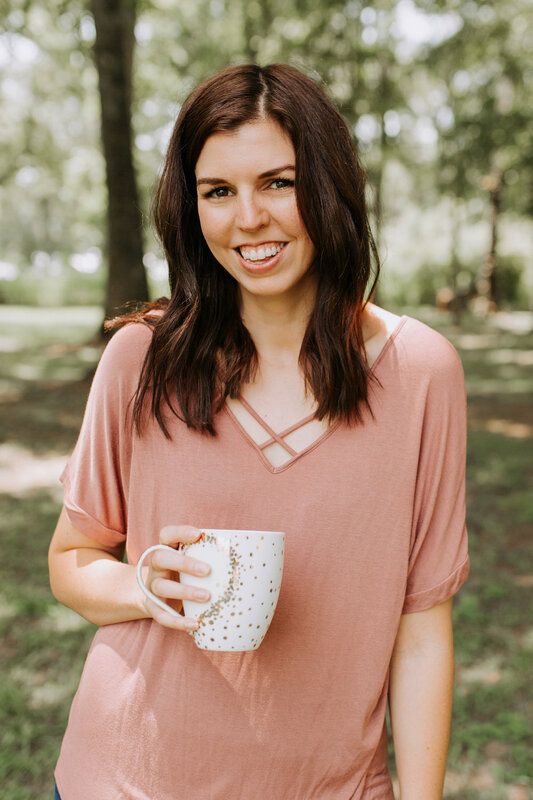 And of course let me know if you decide to follow the recipe and make your own! And then invite me over for a slice, ok? Psst...all of my out of state friends, don't worry, I've got your back if you don't have the time to make your own! Lots of bakeries are happy to ship king cakes! Give Haydel's or The Cajun Pecan House a try, and you'll be in the king cake spirit in no time!